At this time of year, the media is often full of articles urging us to embark on a detox to cleanse us of the excesses of the Christmas season. By contrast, a common response to this is to assert that the body has perfectly good systems of detoxification in place – the liver and the kidneys – and that we do not need to do anything to further promote detoxification. Two contrasting viewpoints; which is true? Firstly, it is worth defining what we mean by detoxification. It is true that detoxification is a process that goes on continuously in our bodies to remove compounds that are no longer needed. These can be the breakdown products of our metabolism, our own used hormones, as well as toxins such as chemicals and heavy metals which we have been exposed to. The main organs of detoxification are the liver and the kidneys, although the skin, lymphatic system, colon and lungs also have to be considered when thinking about detoxification. After we eat food and it is absorbed from our digestive tract into the bloodstream, the blood first goes to the liver to be filtered so that any toxic substances are removed before the blood reaches the heart. Toxins removed by the liver are put into the bile, which is excreted in the stool. The kidneys also filter the blood, allowing unwanted substances to pass into the urine for excretion. Whilst it is true that these processes happen all the time to some extent, there can be variations from person to person in how efficiently they occur. These variations occur both as a result of genetics and of the environment within our bodies. For example, the kidneys cannot filter effectively if our water intake is insufficient. Detoxification in the liver is a complex process that consists of 3 phases (although we will only explore the first 2 here). 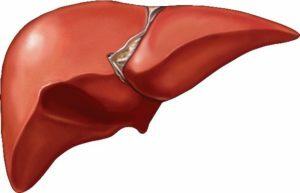 Phase 1 is carried out by a set of liver enzymes called cytochrome P450. The rate of production of these enzymes is in part influenced by our genetics – so some people are predisposed to carry our phase 1 detox faster than others. But P450 enzymes can also be influenced by the foods that we eat – more on that later. In Phase 2 liver detox, reactions occur which result in fat-soluble toxins being bound to other molecules so that they become water-soluble and can be excreted in the urine or stool. Where do these compounds come from? From the food that we eat! For example, one type of phase 2 reaction is called sulfation and requires sulphur containing compounds. We get sulphur from foods such as eggs, onions and cruciferous vegetables as well as certain amino acids (from protein foods). 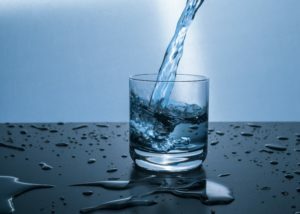 If we do not get enough of these for our body’s needs, then sulfation reactions may be slowed and toxins could build up. We can now begin to see how we may be able to influence how efficiently we detoxify. But we also need to consider that the toxic load to which we are exposed nowadays is greater than that which we have evolved to deal with. Thousands of chemicals have been introduced into our environment in modern times and their combined effects on us have not been tested. One study(1) found that children had higher levels of chemicals in their urine when they ate conventionally grown food than when they switched to an organic diet. This is evidence that our bodies do need to excrete these chemicals. We also have to consider heavy metals such as cadmium (from cigarettes), mercury (from amalgam fillings and large fish) and arsenic (which you might be surprised to learn accumulates in brown rice as it grows). These toxins persist in our environment long after they have been introduced and are so all-pervasive that it is impossible to avoid some exposure. The extent to which toxins may cause health problems depends on an individual’s exposure and their underlying health status as well as how efficiently they detoxify. In other words, there is a balance between toxins in and toxins out, and we hope that the rate of excretion is greater than the rate of exposure so that toxins do not build up. How can we tell if our toxic load has overwhelmed our detoxification capabilities? Symptoms of an overwhelmed detoxification system vary widely between individuals and are often quite non-specific. They can include skin complaints (as the skin attempts to take on some of the work that the liver cannot keep up with), headaches, impaired immunity and fatigue. One particular symptom which I often see in clients is the development of a sensitivity to chemical smells, such as perfume or diesel fumes. One theory is that this develops when detoxification pathways are overwhelmed, and this certainly correlates with my own experience in clinic. A build up of toxins has also been linked to more serious health conditions, such as Parkinson’s Disease(2), autoimmunity(3), and cancer(4). How can we promote detoxification? Before we even start to think about increasing the rate of removal of toxins from the body, we need to limit our exposure as much as possible. Remember that there is a balance, so there is no point making concerted efforts to detox if we are still allowing a lot of toxins in. Avoiding all toxins would be impossible, but we can change the things we are in control over: we can buy organic food, avoid processed foods, sugar, caffeine and alcohol, use natural cleaning products and organic toiletries and cosmetics. We can avoid plastic bottles and food storage and can filter our drinking water. Given the extent of toxins in our environment, it is a good idea to help our bodies to detoxify every day, not just as a special event in January! We can do this firstly by ensuring that we are well hydrated, aiming for 2 litres of pure water per day. It is also important to ensure that we are not constipated, as constipation can result in toxins which were meant for excretion being released from the colon and recirculating – not good news! This means eating plenty of fibre and getting sufficient exercise as well as staying well hydrated. Then we can ensure that we eat enough of the foods that support the liver detoxification processes. Many of these are provided by eating a diverse plant-based diet. 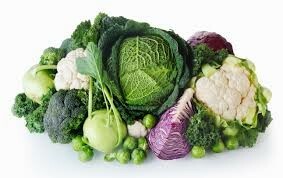 The cruciferous vegetable family (kale, broccoli, cabbage, cauliflower etc) deserve a special mention as they upregulate both phase 1 and phase 2 liver detoxification(5). Vegetable juices are also valuable as they provide a concentrated and easily absorbed source of key nutrients. Bitter leaves such as rocket and radicchio also upregulate detoxification –paradoxically because they contain very small amounts of toxic compounds. These stimulate the liver to increase its activity, more than compensating for the toxins they contain. We can also take some of the pressure off the liver and kidneys by supporting detoxification through the skin. How? By getting sweaty! Certain toxins are more readily excreted via the sweat than in urine or the stool(6) so this can be a helpful pathway to focus on. Exercise until you sweat, or why not treat yourself to a sauna? What about a more serious detox? You may have seen juice fasts and even water fasts being advertised. Many traditional cultures used fasting at certain times of year, often linked to religious practices. During a fast, the body does not have to expend energy on digestion, so more resources are available for detoxification, as well as for repair processes within the body. Fasts can be useful for people who are in a generally healthy state, but for people who have more serious health challenges or whose toxic load is higher, my belief is that they could potentially cause problems and should therefore only be undertaken under the guidance of a health professional. There are several reasons for this. One is that fasting can mobilise toxins from storage (typically from fat tissues) and if the liver, kidneys and colon are not working optimally, these toxins may not be excreted but could circulate in the bloodstream causing illness. Another reason is that that one of those phase 2 liver detox processes I referred to earlier requires amino acids to bind to toxins. Amino acids come from proteins, and if proteins are in short supply (such as during a juice fast) then toxins could build up. That’s not to say that a more serious detox isn’t sometimes called for, just that it is important to prepare properly, and indeed to take the correct approach to starting back to the normal diet again afterwards. This is best done with expert help. In summary, the body does an amazing job of continuously detoxifying, which is essential in order to cope with our toxic modern environment. But there are ways in which we can optimise and upregulate our detoxification processes. Avoiding toxin exposure as much as possible is the first step, followed by eating in a way which supports and upregulates the body’s own detoxification mechanisms. Lu, C., Toepel, K., Irish, R. et al. (2006). ‘Organic Diets Significantly Lower Children’s Dietary Exposure to Organophosphorus Pesticides’, Environmental Health Perspectives, 114(2), pp260-263. NCBI [Online]. Available at https://www.ncbi.nlm.nih.gov/pmc/articles/PMC1367841/ (Accessed 11 January 2018). Cannon, J.R. and Greenamyre, J.T. (2011). ‘The Role of Environmental Exposures in Neurodegeneration and Neurodegenerative Diseases’, Toxicological Sciences, 124(2), pp225-250. Oxford Academic [Online]. Available at https://academic.oup.com/toxsci/article/124/2/225/1686183 (Accessed 12 January 2018). Burek, C.L. and Talor, M.V. (2009). ‘Environmental Triggers of Autoimmune Thyroiditis’, Journal of Autoimmunity, 33(3-4), pp183-189. NCBI [Online]. Available at https://www.ncbi.nlm.nih.gov/pmc/articles/PMC2790188/ (Accessed 12 January 2018). Knower, K.C., To, S.Q., Leung, Y.-K. et al. (2014). ‘Endocrine disruption of the epigenome: a breast cancer link’, Endocrine-related Cancer, 21(2), ppT33-55. NCBI [Online]. Available at https://www.ncbi.nlm.nih.gov/pmc/articles/PMC4504013/ (Accessed 12 January 2018). Saw, C.L.-L., Cintron, M., Wu, T.-Y. et al. (2011). ‘Pharmacodynamics of dietary phytochemical indoles I3C and DIM: Induction of Nrf2-mediated Phase II drug metabolizing and antioxidant genes and synergism with isothiocyanates’, Biopharmaceutics and Drug Disposition, 32(5), pp289-300. NCBI [Online]. Available at https://www.ncbi.nlm.nih.gov/pmc/articles/PMC3465716/ (Accessed 11 January 2018). Sears, M.E., Kerr, K.J. and Bray, R.I. (2012). ‘Arsenic, Cadmium, Lead, and Mercury in Sweat: A Systematic Review’, Journal of Environmental and Public Health, 2012, Article ID 184745. Hindawi [Online]. Available at https://www.hindawi.com/journals/jeph/2012/184745/ (Accessed 11 January 2018).